With thanks for her continual diligent work at Lancashire County Council, Wesham Forum has been notified by County Councillor Liz Oades of the following special maintenance schemes that are to be carried out in 2009/10. Poulton Street, Kirkham, part footway, part carriageway resurfacing. Church Road, Treales, Kirkham Road Treales to M55 Bridge, surface dressing. Carr Lane, Kirkham, Dowbridge, Kirkham to Moorside, Treales, carriageway inlay. Clifton Lane, Clifton, Preston Old Road to Church Lane, Carriageway. Local Safety Scheme; A583 Kirkham Bypass/Freckleton Street junction, traffic signal modifications and improved signs. Blackpool Road, Newton, Savick Brook to Three Nooks, Carriageway inlay. Junction A583/A584 Clifton, Carriageway Inlay. Preston Street, Kirkham, Carriageway inlay. B5192, Station Road, Wesham, Railway Bridge to Garstang Road North. 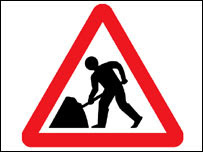 Moorside, Treales, Mowbreck Lane, Treales to M55 bridge, patching and surface dressing. Kirkham Road, Treales, Moorside to Church Road, Carriageway inlay.